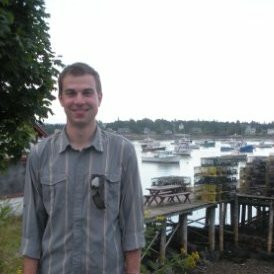 This story originally appeared on vetmed.wisc.edu. In October 2015, a team of researchers at the University of Wisconsin-Madison and Universidad de Sucre in Colombia ran the first tests confirming the presence of Zika virus transmission in the South American country. In a study published Jan. 26, 2016 in the journal Emerging Infectious Diseases, the team documents a disease trajectory that started with nine positive patients and has now spread to more than 13,000 infected individuals in that country. “Colombia is now only second to Brazil in the number of known Zika infections,” says study lead author Matthew Aliota, a research scientist in the UW–Madison School of Veterinary Medicine (SVM). The Global Health Institute provided support for the paper’s first author, Erwin Camacho, a visiting doctoral student from Colombia and research specialist in the School of Veterinary Medicine. Camacho confirmed the virus was in Colombia, and from the positive samples, traced its origins to Brazil and to French Polynesia. Camacho, from the Universidad de Sucre, has been at UW-Madison working on the project since October. Students and technical workers like Erwin definitely play a major role in the research going on on campus,” Aliota says. Zika virus, which spreads among humans via mosquitoes, causes illness characterized like many other viral infections by fever, rash and joint pain. Officials estimate that four out of five people who contract the virus do not get sick and the virus is rarely fatal. However, pregnant women in Brazil infected with Zika have given birth to babies with small heads and underdeveloped brains, a condition called microcephaly. For the Colombian finding, Aliota and his research team, which includes GHI Advisory member Jorge Osorio, professor of pathobiological sciences at SVM, and two visiting doctoral students from Colombia, tested samples from 22 patients for the genetic fingerprints of Zika, dengue and chikungunya viruses. Nine came back positive for Zika virus. Now, 13,500 cases have been identified in Colombia. The researchers’ findings highlight the need for better, more accurate laboratory diagnosis of Zika virus. 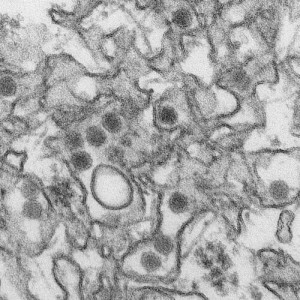 Zika virus was first found in Uganda in 1947 but remained limited to Africa and Southeast Asia for decades. But in 2007, an outbreak occurred in the Pacific Islands and recently the virus began to spread in the Western Hemisphere. Aliota hopes to help change that. His research on Zika virus and others like it is focused on how the viruses evolve and adapt to their hosts, including mosquitoes and humans. As he and the team show in the study, the Zika virus has split into two distinct lineages, African and Asian. The Colombia strain of the virus can be tracked to Brazil, which can be traced to a strain that originated in French Polynesia. “There is certainly something different about these viruses that have allowed or facilitates this geographic expansion,” Aliota says. He and Osorio are now looking for ways to control it. As members of the Eliminate Dengue Program, an international effort managed by Monash University in Melbourne, Australia, they have explored how a bacterium that infects 60 percent of insects around the world may be used as a tool to combat the spread of dengue and similar mosquito-borne viruses. Zika, dengue and chikungunya (which are also found in Colombia) are RNA viruses, which refers to how they encode their genetic material, and each is transmitted by a specific mosquito called Aedes aegypti. The mosquito is common in Colombia and other countries where Zika has become prevalent. 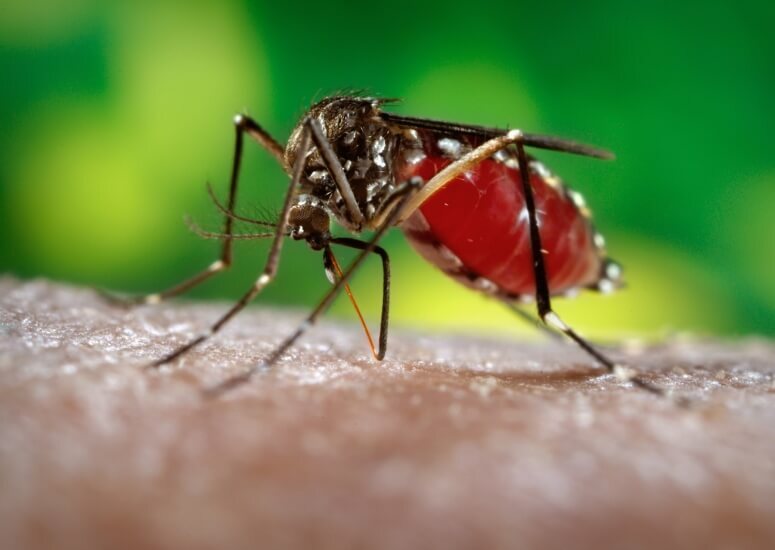 The bacterium, Wolbachia, is not naturally found in the Aedes aegypti mosquito, but researchers with Eliminate Dengue have found that when they infect mosquitoes with the bacteria in the lab, it prevents them from transmitting dengue, chikungunya and yellow fever. Here in Madison, Aliota is also trying to better understand how these viruses might evolve and adapt to this potential control strategy, to try to stay ahead of any potential issues they might encounter in the field. But while Texas and Florida need to be on alert, Aliota says Wisconsinites need not be worried about transmission of Zika virus here.